Combining inferred regulatory and reconstructed metabolic networks enhances phenotype prediction in yeast. Title Combining inferred regulatory and reconstructed metabolic networks enhances phenotype prediction in yeast. 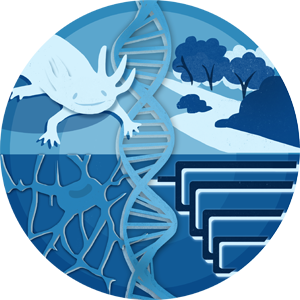 Gene regulatory and metabolic network models have been used successfully in many organisms, but inherent differences between them make networks difficult to integrate. Probabilistic Regulation Of Metabolism (PROM) provides a partial solution, but it does not incorporate network inference and underperforms in eukaryotes. We present an Integrated Deduced And Metabolism (IDREAM) method that combines statistically inferred Environment and Gene Regulatory Influence Network (EGRIN) models with the PROM framework to create enhanced metabolic-regulatory network models. We used IDREAM to predict phenotypes and genetic interactions between transcription factors and genes encoding metabolic activities in the eukaryote, Saccharomyces cerevisiae. IDREAM models contain many fewer interactions than PROM and yet produce significantly more accurate growth predictions. IDREAM consistently outperformed PROM using any of three popular yeast metabolic models and across three experimental growth conditions. Importantly, IDREAM's enhanced accuracy makes it possible to identify subtle synthetic growth defects. With experimental validation, these novel genetic interactions involving the pyruvate dehydrogenase complex suggested a new role for fatty acid-responsive factor Oaf1 in regulating acetyl-CoA production in glucose grown cells.